Here it is. The good, the bad, but not ugly!!! SOMEONE’S REALLY BUMMED AT ME!!! THEY’RE STILL HALF NAKED, BUT IT’S OKAY. IT’S JUST A DIFFERENT COVER. Wally Runnels is that most dangerous of sorcerers, trained, I think by some wizened bruja deep in the desert where only the most feared creatures will live: the scorpion, the rattler, the brown recluse and the dark magician. Wally doesn’t cast spells with smoking mixtures of bat’s blood and cobwebs, he uses words… Words to take you to the most dreadful places, where murder is an act of reclaiming lost love and there is a deep but twisted sense of honor and what is right. You’ll tell yourself that you don’t want to look, or you don’t want to go any further into that dark place Wally has invoked, but you will – his words are too powerful, too cunning. And you’ll come back, but you won’t be unchanged. Made the People’s Choice Swag Bag. Hi all, it’s been a while. 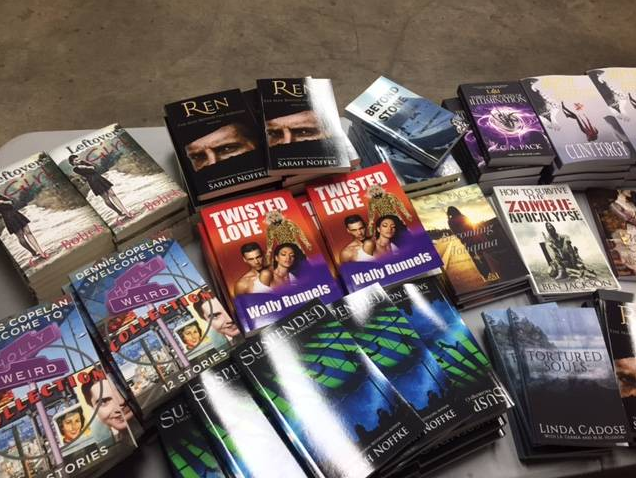 Twisted Love, with Julietta and Rocky were in the People’s Choice Awards swag bag. If they open the book here’s what they’ll find. Archaeologist Julietta Anguilar makes the find of a lifetime when she discovers a hidden chamber under the ruins of the Templo Mejor in the heart of Mexico City. But Julietta’s obsession with the past also has a dark side – abused as a young girl, she struggles to find peace amidst chilling reminders of her dead grandfather and other even more sinister spirits whom she has awakened even as she stands on the brink of fame. She’s a troubled woman that has to find her way out of the dark with a murderous assassin. One reviewer said it was a page tuner. You can be the judge of that. 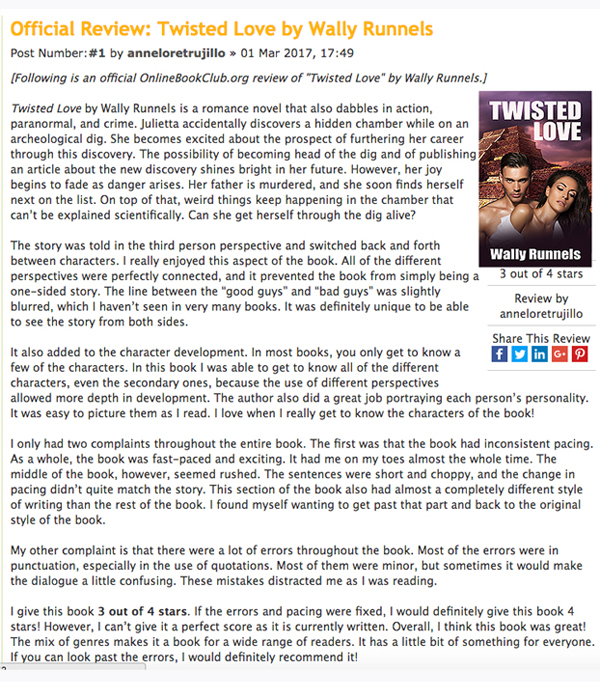 What folks say about Twisted Love. MASTER OF THE OCCULT AND PASSION. From word one, this novel grips and shakes you with its unique descriptions and its velvet use of terror. Sample the opening: “The pervasive wood smoke of Mexico City created an orange midday glow. Death. Its challenging presence rode hot thermal wavelets, making the ground quiver.” The hero is ruthless and passionate, the heroine driven, ambitious, and loyal, even to those who corrupted and used her. Everyone holds secrets, even the dead, and it’s a race to see who will survive the revelations of those dark, devastating truths. Sometimes an object can stimulate an idea. 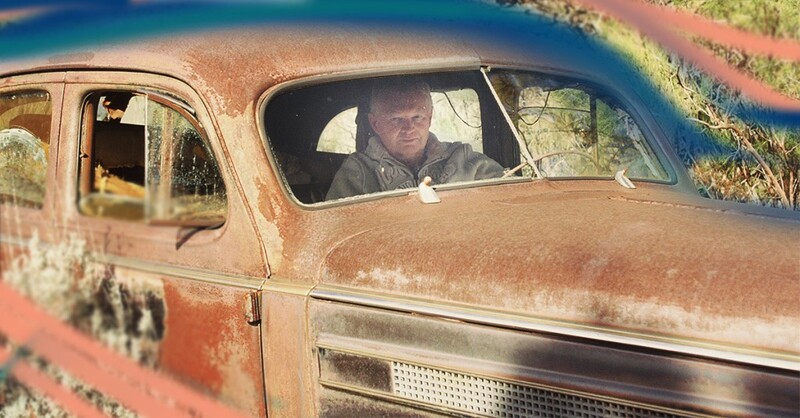 Here I am sitting in my brother’s 1937 Oldsmobile. Thinking back on the history when this car was new is humbling. We were on the brink of World War 2. Ideas for a novel can be right in front of you. This car might make 1937 seem rather romantic and filled with drama. Maybe the man who bought this car wound up on a beach in Normandy, or drove his wife to the hospital with their first child. A son takes it out on his first date. Or the auto restorer discovers something hidden in a secret compartment. It’s an object that generates ideas. Just like Daniel Neuman called it: Spontaneous Combustion. What are we waiting for? Let’s get writing. 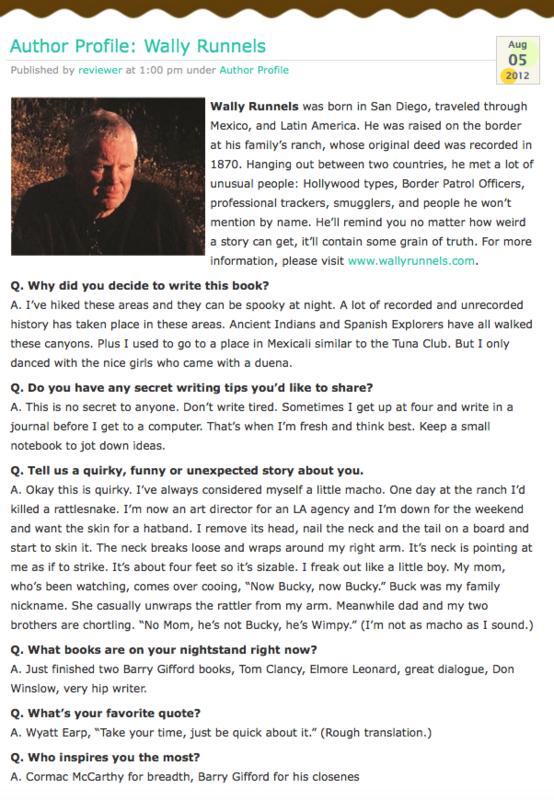 My name is Wally Runnels and I write Border Pulp. I really appreciate things like this. It’s like getting your name up in lights. 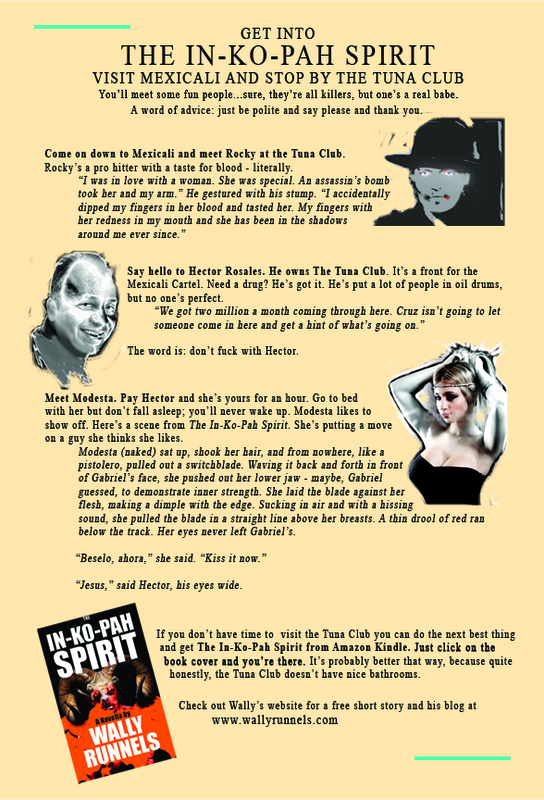 Did this for the novella The In-Ko-Pah Spirit. I really enjoy writing and the more you write the more you learn. So if you don’t write be sure you read. Twisted Love gets good news. From word one, this novel grips and shakes you with its unique descriptions and its velvet use of terror. Sample the opening: “The pervasive wood smoke of Mexico City created an orange midday glow. Death. Its challenging presence rode hot thermal wavelets, making the ground quiver.” The hero is ruthless and passionate, the heroine driven, ambitious, and loyal, even to those who corrupted and used her. Everyone holds secrets, even the dead, and it’s a race to see who will survive the revelations of those dark, devastating truths. A unique character is an important thing in a story. Here’s a few that fall into that category. Let’s take a look. Unfortunately the book cover shown is not linked. Just go back into the website and you can find the live cover there.